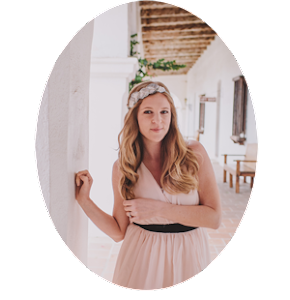 Today I am excited to be co-hosting a surprise virtual bridal shower for my friend Julie. Julie got engaged a few months ago and to celebrate her upcoming wedding, I am joining a few other friends in this virtual bridal shower fun. Pop over to Leo's blog to see what everyone else is "bringing" to the shower. 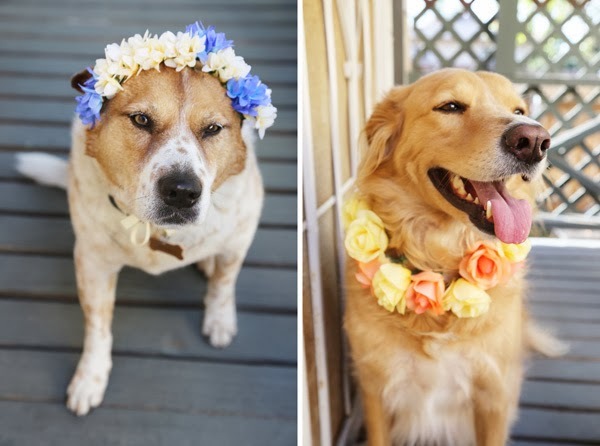 My contribution to the bridal shower is a fun and simple wedding inspired diy.....for your dog, naturally. If you know Julie, then you might know how much she loves her dog Penny. I love a fellow dog person. We have spent hours discussing our pups while working craft fairs. 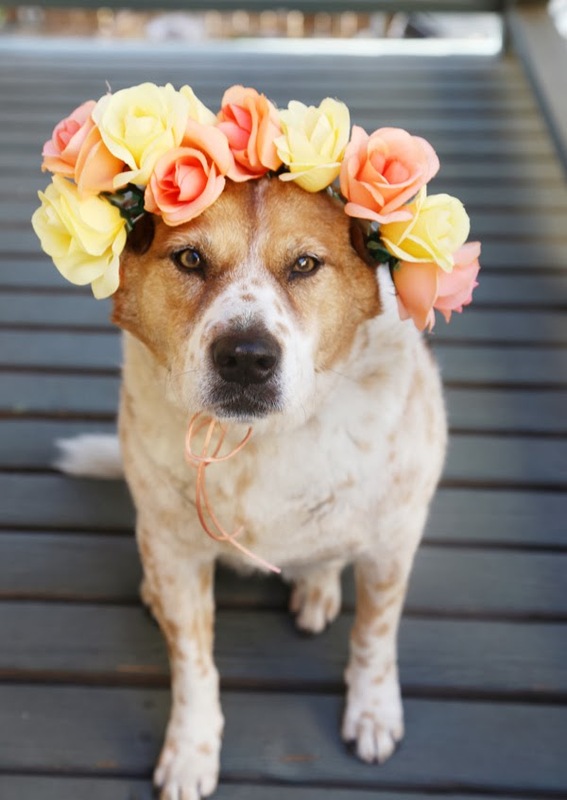 I am not sure if Penny is going to be part of the wedding ceremony, but if she is, she needs a flower crown. 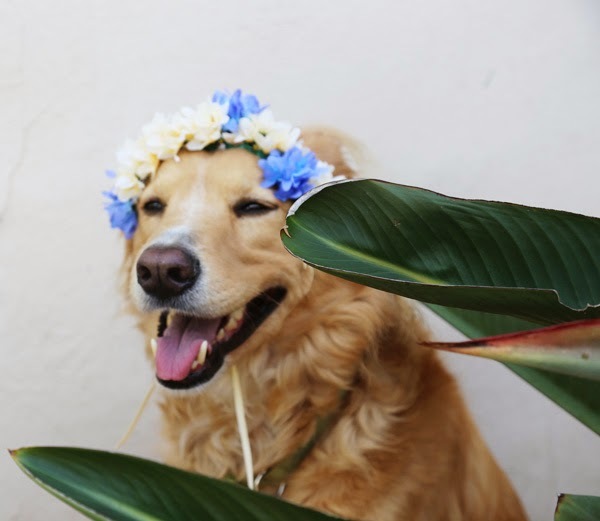 Have you seen anything cuter than a dog in a flower crown?! I just about died when I placed one on Finn's head. 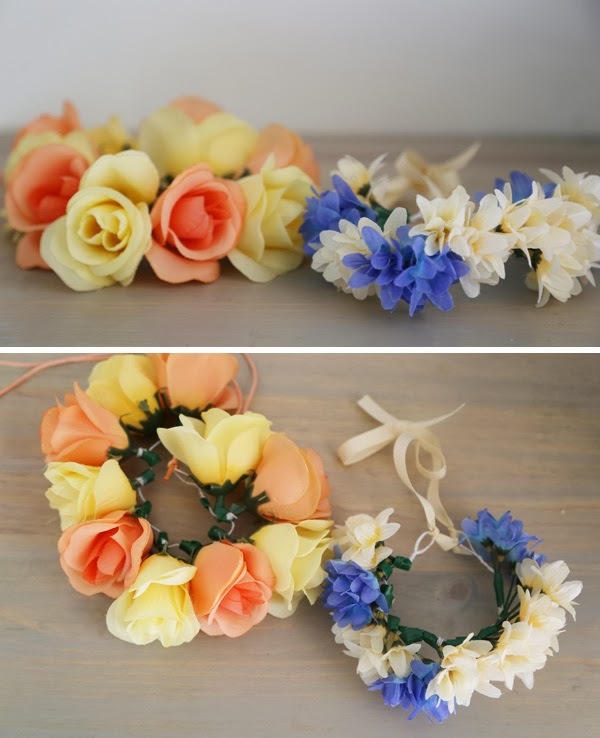 This diy is super simple and can be used as a crown or collar. The collar is definitely better for a long period of wear since most dogs hate having something on their head. 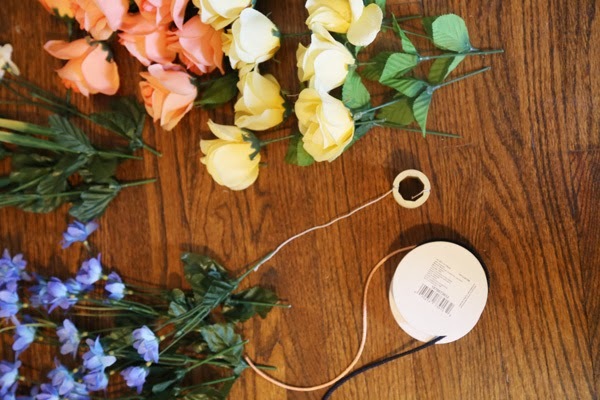 All you need to make a simple flower crown is fake flowers, floral wire, floral tape, and ribbon. You will also need sharp scissors or wire cutters. I bought the inexpensive bunches of flowers from the craft store. 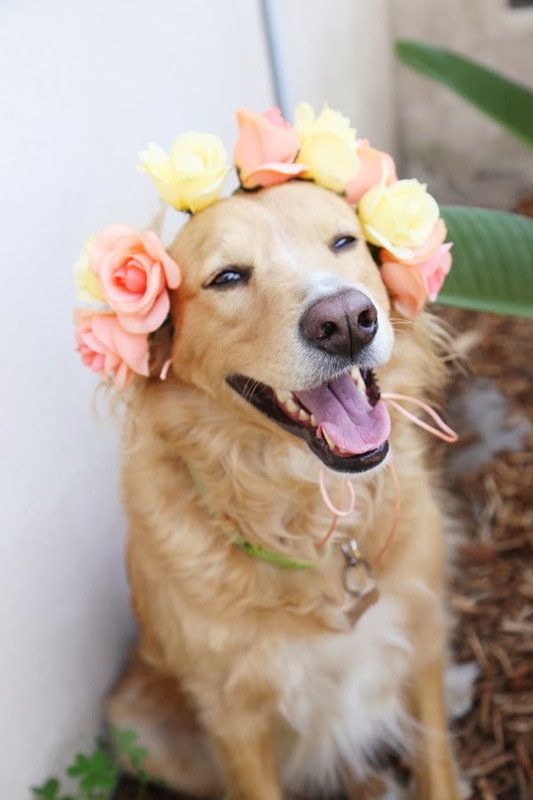 There are really nice and pricey fake flowers out there but for a dog crown, I went the cheap route. My dogs get everything dirty.... ;). In order to make the crown/collar, figure out how long you want the crown to be and cut a length of floral wire that is four times this length. Fold the wire in half and twist each end so that you have a loop. 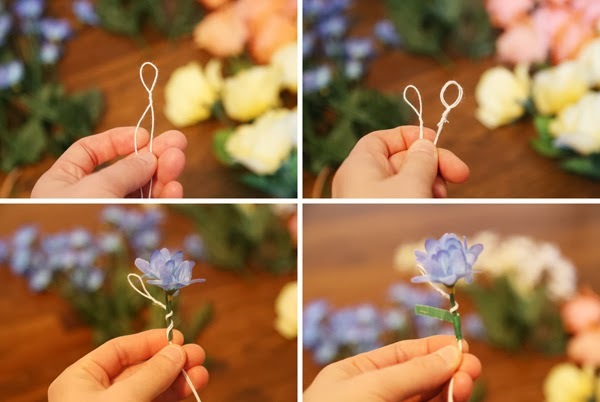 Trim the flowers and wind the wire around the stems. Secure the stems with a little piece of floral tape. Once you have all your flowers placed and taped to the wire, tie a piece of ribbon to each loop. 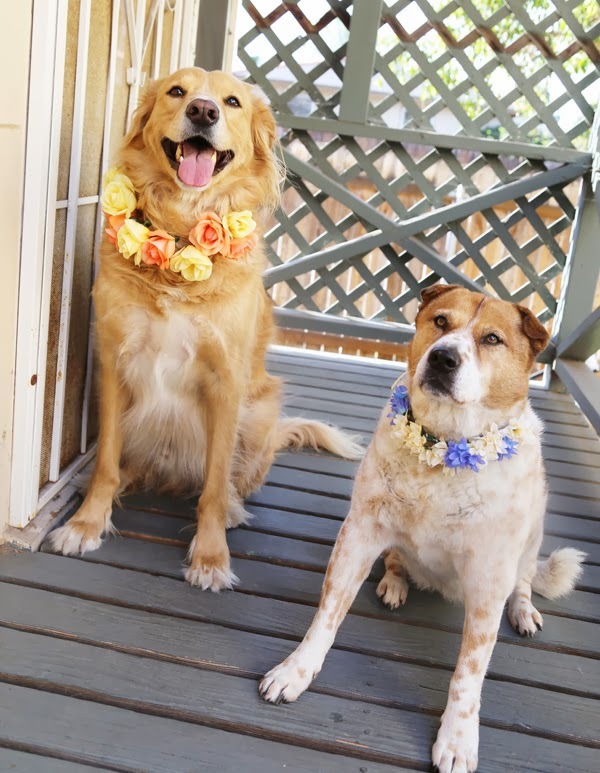 The ribbon doesn't have to be that long - just long enough to tie the crown around your dog's head or neck. Final step - put the crown on your dog's head, snap a million pictures, and hope that they will not hate you forever. Gordita was not impressed....but she looked so pretty! Wouldn't this be a fun shower craft? If you aren't into dogs, make one for your cat or your human child. So easy and cute. Check out the other surprise virtual shower posts on Yellow Heart Art // Much Love, Illy // Rouge & Whimsy // Anna Delores Photography. haha! yes, it is hard to compete with dog cuteness, but Ilene looked pretty amazing ;). we really did throw a great party :). awww this is soo beautifuL!!! such a great idea!! You have some excellent models for your crowns! I may end up making some sort of crown for myself. Or, you know, since I'm a crazy cat lady, for my cat. (Granted, that would call from some smaller flowers, haha.) Anyway, you guys are awesome for throwing Julie an online bridal shower! What a fantastic, happy surprise. Aww! So sweet! Even I have a dog who is ready for his day of wedding. Thanks for the DIY garland. I attended a DIY wedding expo last month in one of the NYC wedding venues where they had kept all these beautiful garlands and flower arrangements that are used in a wedding.